Benton starts Kindergarten next week. Ack! It is crazy to think that this sweet, fun little boy will be gone almost 8 hours every day. Before he went I wanted to have a special day with just him and me. I took the two littles to a friend's house to play for 3 hours this morning so Benton and I could do whatever he wanted. 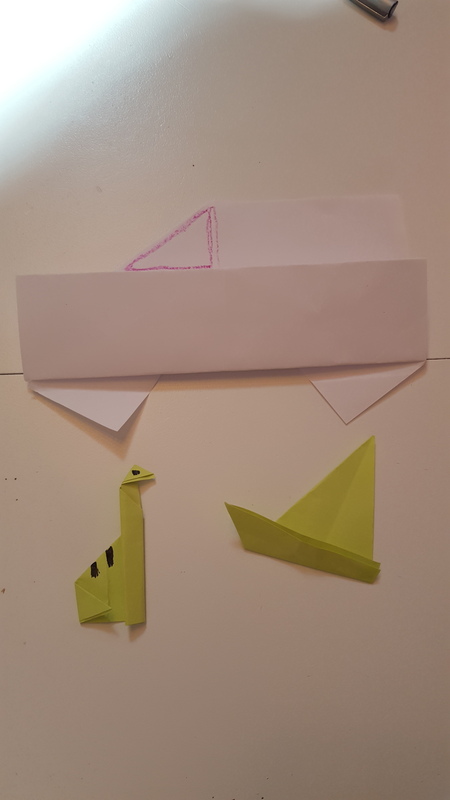 We started off the morning with some origami. He recently got into it but ti is difficult to help him while the other kids are around. Today we sat and did it for a long time. We made cars, birds, dinosaurs, boats, and more. We also played games and talked a lot. 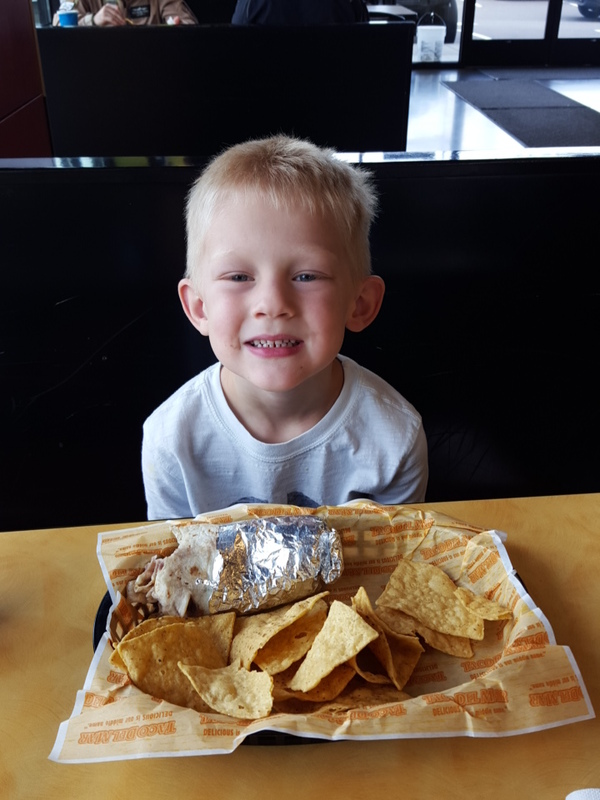 Then we went out to lunch at Taco del Mar. Right after I took this picture Benton said, "This has been the best date ever. No Kids. Well, just me." It was a pretty great date. I loved spending some one on one time with my little buddy.